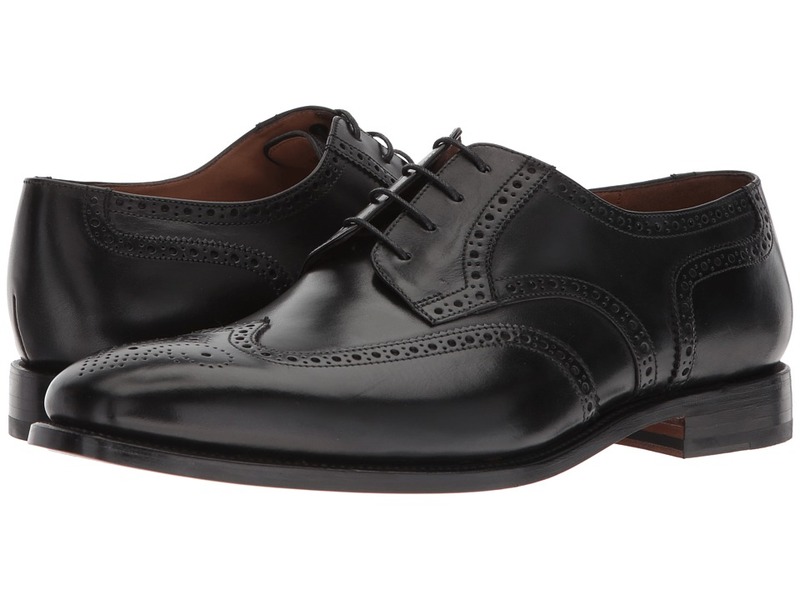 Keep your style sharp and sophisticated with the Cavallo wingtip by Robert Talbott! Upper is constructed of premium calfskin leather. Lace-up closure secures foot in place. Balmoral oxford design. Lightly padded tongue. Oak brogue stitching can be seen throughout the shoe. Supple leather lining ensures a breathable wear. Additional layer of foam rests between the insole and footbed for plush cushioning. Leather outsole is Goodyear welted for long-lasting and durable construction. Robert Talbott logo is embossed within the insole and outsole. Rubber padding on the heel provides additional traction and grip. Imported. Measurements: Weight: 1 lb 2 oz Product measurements were taken using size 11, width D - Medium. Please note that measurements may vary by size. Weight of footwear is based on a single item, not a pair. Keep your style sharp and sophisticated with the Cavallo penny loafer wingtip by Robert Talbott! Upper is constructed of premium calfskin leather. Lace-up closure with blucher styling. Derby wingtip design. Lightly padded tongue. Intricate brogue stitching can be seen throughout the shoe. Supple leather lining ensures a breathable wear. Additional layer of foam rests between the insole and footbed for plush cushioning. Leather outsole is Goodyear welted for long-lasting and durable construction. Robert Talbott logo is embossed within the insole and outsole. Rubber padding on the heel provides additional traction and grip. Imported. Measurements: Weight: 1 lb 2 oz Product measurements were taken using size 12, width D - Medium. Please note that measurements may vary by size. Weight of footwear is based on a single item, not a pair. Handsome, sleek, and sophisticated! 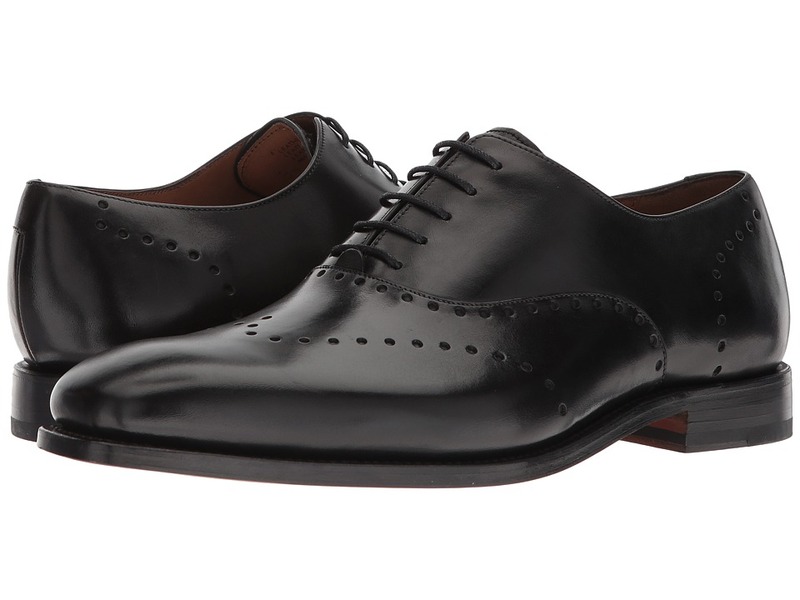 The guys at Robert Talbott took extra care and detail when creating the Tiburon oxford. Upper is constructed of premium calfskin leather. Cap-toe styling. Lightly padded tongue. Lace-up closure secures foot in place. Supple leather lining provides a plush and breathable wear. An additional layer of foam between the insole and the lining provides responsive cushioning and support. Durable rubber heel provides extra grip on multiple surfaces. Smooth leather outsole is Goodyear welted for long-lasting construction. 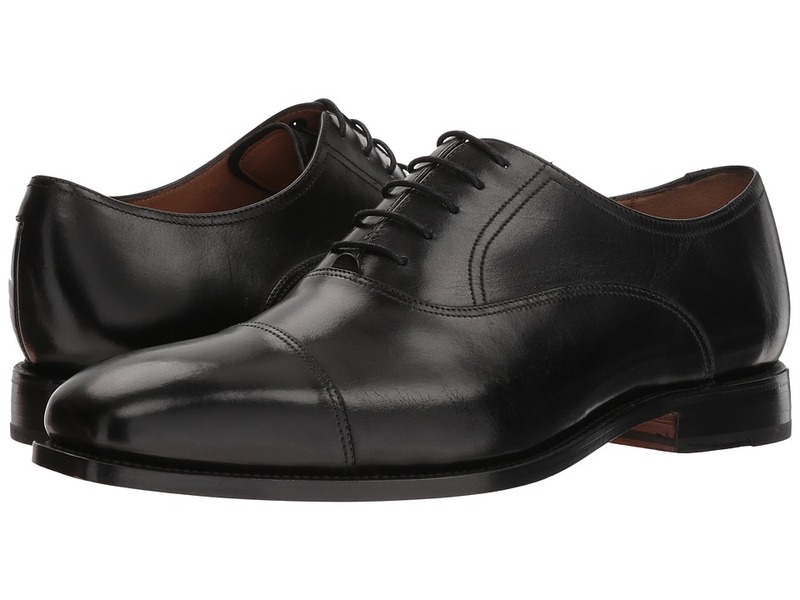 Robert Talbott~s proprietary wax finishes the leather, adding an elegant shine while also protecting the shoe. Imported. Measurements: Weight: 1 lb 4 oz Product measurements were taken using size 11, width E - Wide. Please note that measurements may vary by size. Weight of footwear is based on a single item, not a pair. 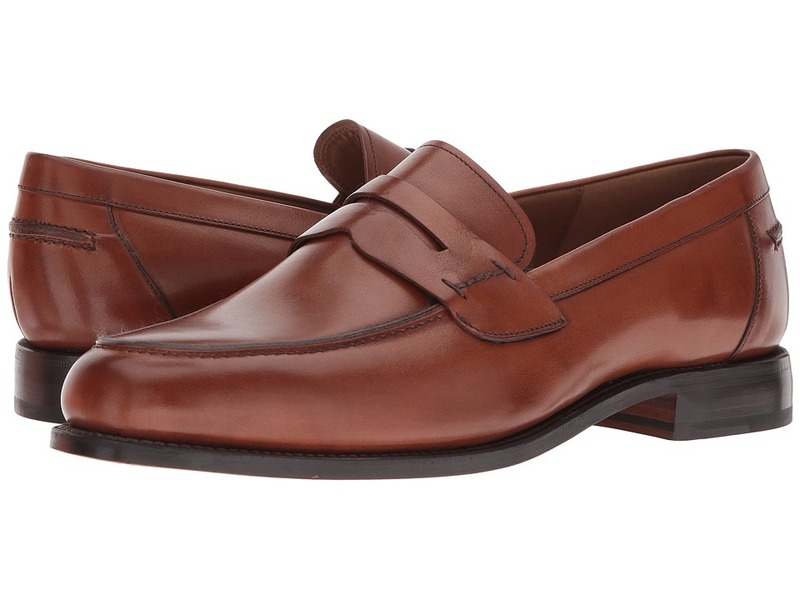 The Robert Talbott Hayward loafer will add a dapper spring to your step! Upper is constructed of premium leather in a moc toe silhouette. 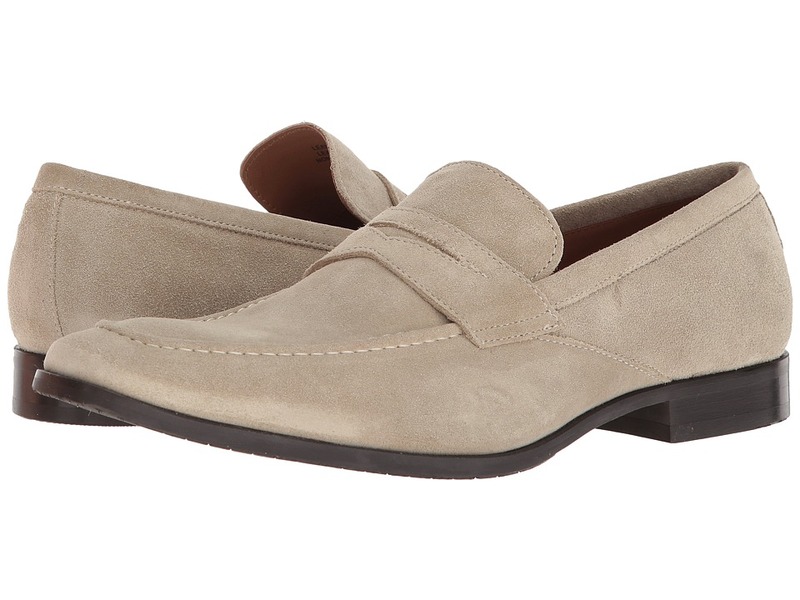 Easy slip-on design with classic loafer silhouette. Supple leather lining provides a breathable wear, keeping feet cool and dry. Smooth leather outsole provides extra comfort and support. Robert Talbott logo is embossed within the insole and outsole. Imported. Measurements: Weight: 1 lb 4 oz Product measurements were taken using size 12, width E - Wide. Please note that measurements may vary by size. Weight of footwear is based on a single item, not a pair. Complete your signature dapper look with the sleek and sophisticated Sausalito monk shoe by Robert Talbott! Upper is constructed of premium calfskin leather. Cap-toe styling. Double monk strap closure secures foot in place. 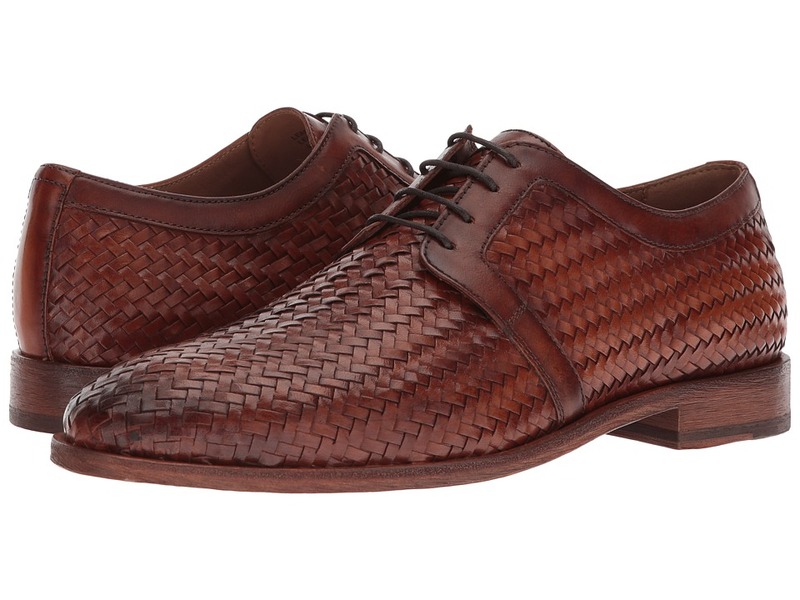 Intricate brogue stitching adorns the cap-toe. Lightly padded tongue. Supple leather lining ensures a breathable wear. Additional layer of foam rests between the insole and footbed for plush cushioning. Leather outsole is Goodyear welted for long-lasting and durable construction. Rubber padding on the heel provides additional traction and grip. Imported. Measurements: Weight: 1 lb 2 oz Product measurements were taken using size 11, width E - Wide. Please note that measurements may vary by size. Weight of footwear is based on a single item, not a pair. Make your presence known as soon as you step foot in the Bolinas woven derby shoe by Robert Talbott! Upper is constructed of woven calfskin leather. Woven pattern increased ventilation, keeping feet cool and dry. Lace-up closure with blucher styling. 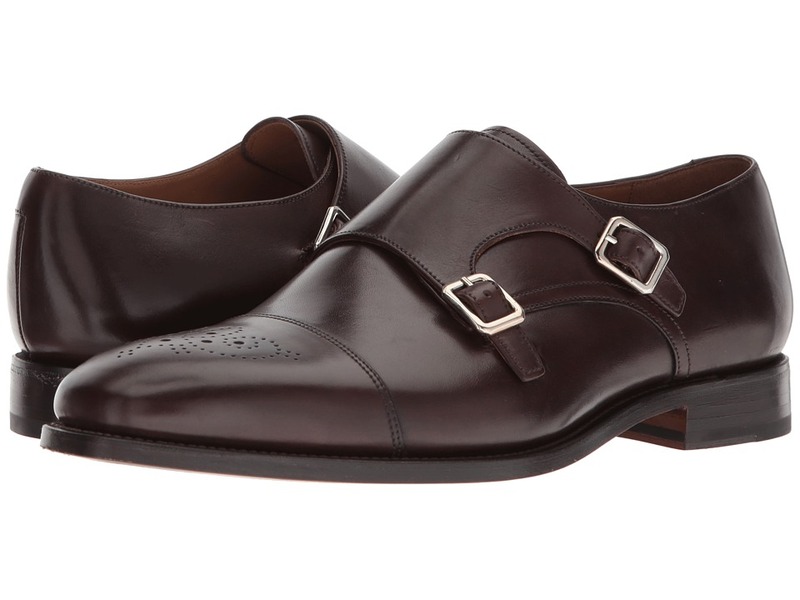 Blucher is constructed of a single piece of leather, wrapping around the collar. Lightly padded tongue. Supple leather lining ensures a breathable wear. Additional layer of foam rests between the insole and footbed for plush cushioning. Robert Talbott logo is embossed within the insole and outsole. Rubber padding on the heel provides additional traction and grip. Leather outsole is Goodyear welted for long-lasting and durable construction. Imported. Measurements: Weight: 15 oz Product measurements were taken using size 11, width D - Medium. Please note that measurements may vary by size. Weight of footwear is based on a single item, not a pair. 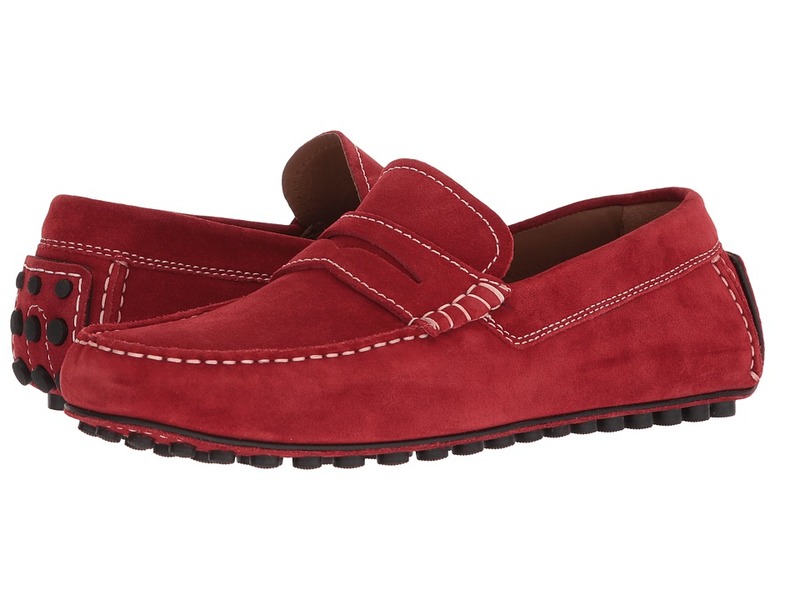 Robert Talbott has adorned the iconic penny loafer with lush suede, creating the Nicasio loafer! Goes well with jeans and slacks for the ultimate versatile shoe! Upper is constructed of supple suede. Easy slip-on design with classic penny loafer styling. Soft leather insole ensures plush cushioning and support. Supple leather lining delivers a breathable wear. Durable rubber outsole provides extra traction and flexible range of motion. Imported. Measurements: Weight: 1 lb Product measurements were taken using size 12, width D - Medium. Please note that measurements may vary by size. Weight of footwear is based on a single item, not a pair. Inspired by the legendary Le Mans 24hr race, Robert Talbott dedicates the Le Mans driver moc for those who seek dangerously handsome styling! Upper is constructed of either calfskin leather or supple suede. Easy slip-on loafer with classic moc-toe styling. Intricate hand-sewn detailing and construction. Soft leather insole provides plush cushioning and support. Perforated leather lining promotes a highly breathable design. Robert Talbott logo is embossed within the insole. Classic driver-style outsole is constructed of durable rubber padding for extra flexibility and traction. Imported. Measurements: Weight: 11 oz Product measurements were taken using size 11, width D - Medium. Please note that measurements may vary by size. Weight of footwear is based on a single item, not a pair. 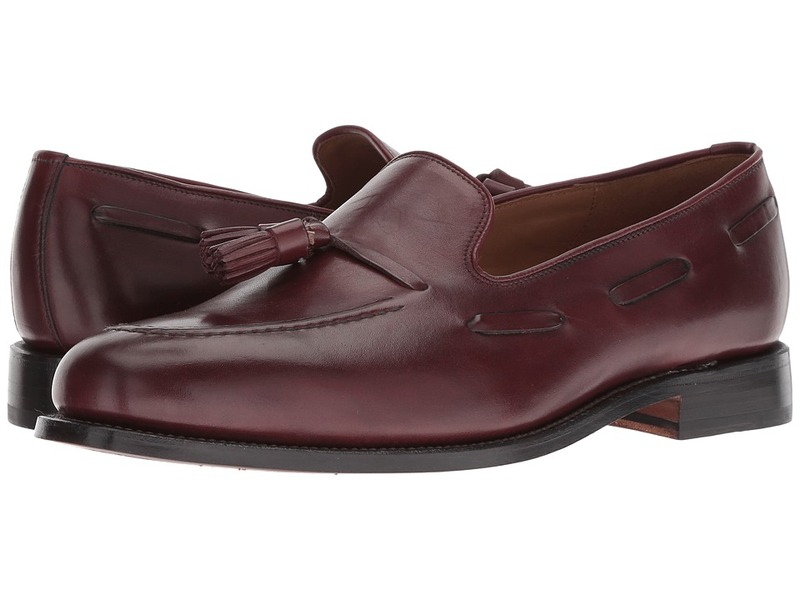 Exceptional comfort awaits in the Robert Talbott Berkeley loafer. Premium leather upper features proprietary waxes applied by hand. Hand raised stitching features on moccasin toe. Easy slip-on. Soft leather lining feels great against the foot. Leather-covered footbed features a foam layer between the leather sock and the insole for added comfort. Goodyear welted construction. Combination leather and rubber heel with a durable leather outsole. Imported. Measurements: Weight: 1 lb Product measurements were taken using size 10, width M. Please note that measurements may vary by size. Weight of footwear is based on a single item, not a pair.